You don’t need to spend thousands of dollars on a camera just for features like motion sensing, time lapse, RAW images, and control over exposure and shutter speeds. 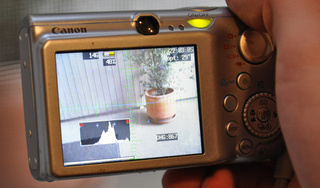 If you have a simple Canon point-and-shoot, you can customize it with these features and a whole lot more using the CHDK enhancement. I have written a little Google Script that will auto-save the image attachments in your Gmail inbox to a special folder in your Google Drive. Once the image files have been moved to Drive, you can switch to the Thumbnail view and visually scan your mailbox. 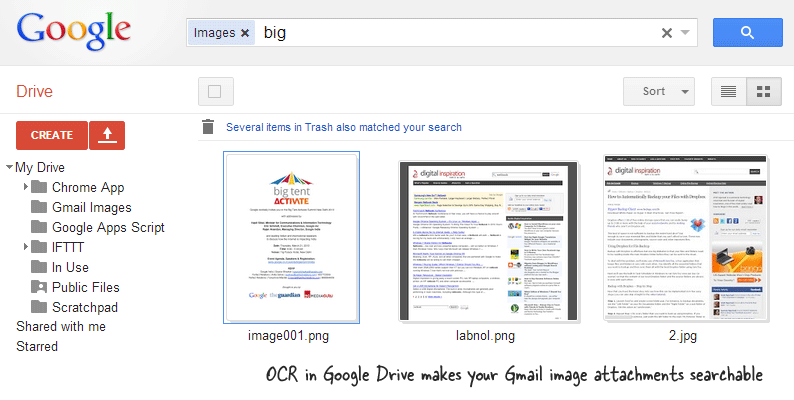 The other big advantage of saving your Gmail images attachments in Google Drive is that you search for text inside images since Drive supports optical character recognition or OCR.